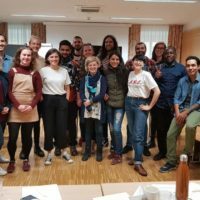 SSDP staff and members are in Vienna this week with our youth allies in CSSDP, SSDP Australia, Youth Rise, and YODA attending the 62nd Commission on Narcotic Drugs meeting (“CND”). Yesterday, we shared an update from last week’s High-Level Ministerial Segment. Today, SSDP’s International Program Manager, Jake Agliata ’11, summarizes the key events which took place during the first day of CND. For more details about everything that is discussed this week, check out the CND Blog. 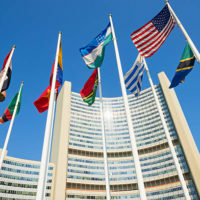 With the High-Level Ministerial Segment (HLMS) in the rearview mirror, it was business as usual at the United Nations on Monday as the 62nd Commission on Narcotic Drugs (CND) meeting kicked off in Vienna. It’s hard to say how much the HLMS will have an impact on this week’s proceedings. On one hand, the segment was mostly a procedural repeat of things which we already knew and statements which were planned weeks in advance. On the other hand, the fractured consensus of the global drug control system was on full display as it becomes more and more clear how much disagreement there is between member states regarding approaches to drug policy. We saw both of these factors come into play on Monday. 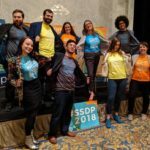 Before the start of the week, SSDP and our global youth allies in the Paradigma coalition held a strategy session on Saturday to discuss our future as a coalition, plans for the week, and for an exciting meeting with New Zealand MP Chlöe Swarbrick. 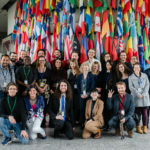 Paradigma was formed in 2017 after a global youth convening in Bangkok and has since existed as an informal coalition among the youth-led organizations who attend CND each year advocating for the youth voice in global drug policy. Seeking to refine what the coalition is and what it does, we spent some time getting organized and drafting some concrete action items to improve the efficiency of our work. Afterward, we discussed some strategies for getting our Global Youth Asks document into the hands of country delegations this week and included in the overall conversation. 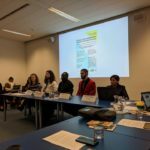 Our goal is to promote the document during side events, drop hard copies off all over the UN, and use our existing contacts in country delegations to help us deliver our asks to those who may be interested in hearing what a diverse group of young people have to say about global drug policy. The meeting with Chlöe was perhaps the highlight of Saturday, as she answered many of our questions regarding her efforts to transform drug policy in New Zealand. Chlöe is only 24 years old and had a lot of insights to offer our group about how we can best leverage our platform as impacted young people to create change at the international level. We were thrilled to have such a promising young politician join us for an incredible discussion. Monday started off with a stark reminder that although civil society may be welcome in the United Nations, we still have to behave and play by the rules or risk being put in a time out. Following last week’s spontaneous die-in at the Philippines booth protesting their delegation’s sugar coating of Duterte’s violent drug crackdown as demand reduction measures, UN security was on high alert for other shenanigans which may upset the comfortable bubble of the UN. In the morning, a large group of civil society members met outside the main UN building to take a photo for the Support Don’t Punish campaign. UN security immediately shut it down because participants were holding up Support Don’t Punish signs, claiming no one was allowed to display any signs with unapproved messaging at the UN. This action was completely unrelated to the Philippines protest on Saturday and could hardly be considered disruptive, considering it was just a group of people taking a photo outside the UN like hundreds of people do every week. If displaying a sign with a message as simple and agreeable as “Support Don’t Punish” really violates UN protocols, the UNODC may need to reevaluate their policies. Moving on to the actual proceedings, most of the day’s discussion in the Plenary room concerned agenda item 9: implementation of the international drug control treaties, particularly regular reviews of scheduling. The two most notable discussions concerned the possible scheduling of tramadol and the new recommendations by the WHO and INCB on cannabis. The WHO recommended Tramadol, a synthetic opioid pain medication, not be scheduled for now, but put under surveillance. China took exception to the WHO’s recommendation and stated their support for scheduling tramadol under the international treaty framework. Egypt and Cameroon supported China’s comments, noting their own national efforts to ban Tramadol within their own borders. Sudan, meanwhile, concurred with the WHO’s recommendation of putting it on surveillance but holding off on scheduling. Regarding cannabis, the INCB noted concern with the potential of poorly regulated cannabis programs to cause harm on communities and lead to an increase in non-medical use among young people. They also stated their position that regulation of cannabis for recreational purposes is in violation of the drug control treaties, subtly calling out Canada. China again strongly concurred with this point and reiterated their support for keeping cannabis in the highest level of scheduling, despite recent reviews by the WHO and recommendations to consider rescheduling. Indonesia and Japan agreed with China, stating their belief that cannabis has adverse effects on health and development. Sudan took it a step further and claimed the new trend of regulating cannabis is behind 80% of crimes related to drug abuse. Not surprisingly, they offered no evidence to support this claim. On the other side, Switzerland, Denmark, and the Netherlands expressed support for further access to research into cannabis as a medicine and showed support for the WHO’s recommendations. Notably, South Korea stated their growing support for medical cannabis amidst growing calls to consider its use among their citizens. 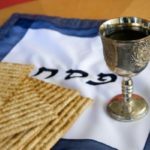 In the Committee of the Whole, two resolutions were discussed. The first was introduced by Australia and concerned enhancing forensic detection capability for synthetic drugs through international cooperation. While most of the conversation was around small changes in language, one notable discussion concerned the inclusion of the word stigmatization in the resolution. 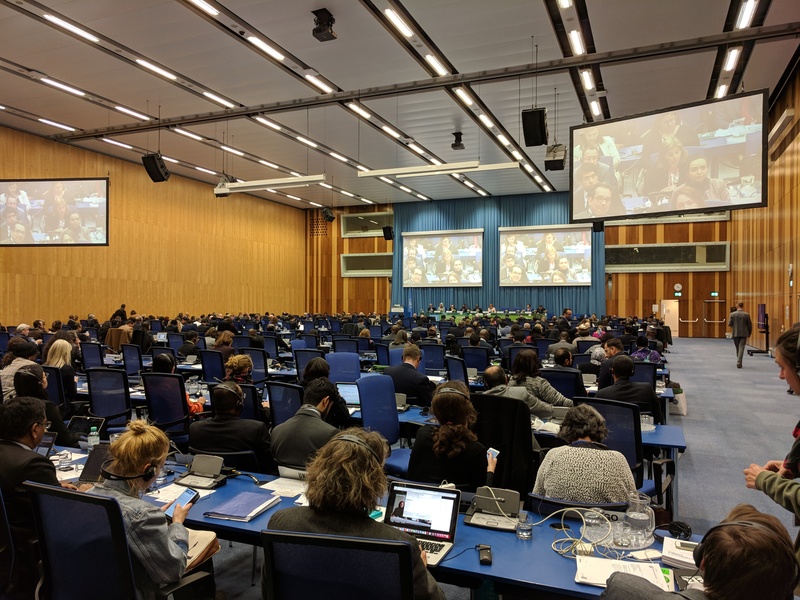 Always a hot topic at CND, a resolution recognizing stigmatization as a barrier to treatment was passed at last year’s CND amidst a highly controversial debate. Pakistan, Iran, and Russia said that stigma has no place in this resolution or debate, while Japan stated they were unclear about what stigma even meant in this context despite last year’s resolution. Canada and the United States supported Australia with keeping stigmatization in the resolution, though no consensus was reached before the debate moved on. The second resolution debated was introduced by Germany, Peru, and Thailand concerning the promotion of alternative development as a development-oriented drug control strategy. A lot of this discussion was based around realigning the goals of the drug control regime with those of the 2030 Sustainable Development Goals. There was some debate between the US and Peru around whether the language of the UNGASS outcome document or the HLMS outcome document should be used in the resolution as a baseline for the recommendations of the drug control regime. Most of this discussion was more of a political debate than anything, as noted by Canada late in the discussions. 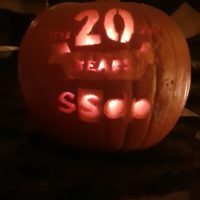 Most notably, countries argued over a line stating the goal of a “society free of drug abuse.” No clear consensus was made on this issue and the discussion was tabled for the next day. There were a number of interesting side events throughout the day, but one which stood out was called “Addressing Stigma: Continuing the Discussion.” Hosted by Canada, Uruguay, Estonia, and Norway, this event was a follow up from a side event last year discussing stigma as a primary barrier to public health interventions for people who use drugs. Each host country discussed efforts underway in their home jurisdictions to reduce stigmatization of people who use drugs in healthcare services, the media, law enforcement, and the general public. Notably, Uruguay discussed how a central focus of their cannabis regulation law is training teachers and educators how to approach the topic of cannabis use without naming or shaming young people who are curious about the drug. It was refreshing to see the room packed for the event, and although there was not much time for discussion afterward, panelists invited everyone to keep the conversation about stigma alive and well throughout the week. Overall, it was a slow but nevertheless eventful start to CND. We are eager to kick up our activity levels throughout the week by making an intervention regarding the implementation of the UNGASS outcome document and participating in two side events on Wednesday and Thursday. Stay tuned for more updates from Vienna!